Motherhood: The Journey of Mara Sahib Kaur is using a world-renowned recording studio and award-winning recording engineer, Tannay Gajjar, who has worked in 200 movies including blockbusters like Gaddar, Devdas, Pinjar, Bajirao Mastaniand many more. This movie is the first ever Bollywood animation with the most diverse Music Council, where music experts from around the world have come together to become part of the project. Sada Sat Simran Khalsa (New Mexico), USA), Taren Kaur (UK), Melodica Men (Florida, USA), Tubsy (UK), DJ Frenzy (UK) – to name a few! We have searched all over India to find some of the worlds most renowned Musicians who are now working on the movie project. See below some of the profiles of our artists. 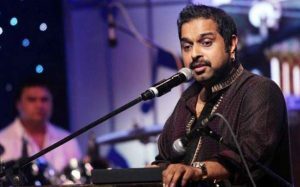 Shankar Mahadevan is an extraordinary Indian singer and famous composer whose musical career began at an early age. He has been nominated and collected many, many awards from the film industry for both his singing and musical compositions. Shankar is an outstanding musician and the team at Nihal Nihal Nihal Productions have been very excited to work with Shankar. In fact, Shankar, too has been inspired by the movie Motherhood – The Journey Of Mata Sahib Kaur and feels that such a film can inspire audiences worldwide. Most popular classically trained, national award-winning artist having worked with all the big Bollywood production houses. 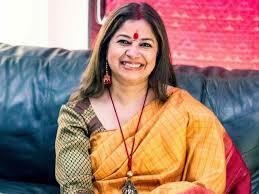 Alka Yagnik is a distinguished Indian singer with a mesmerising voice. She was born in Kalkata to a family where classical singing was already firmly embedded. Alka began her singing career at the age of six and has since sang as a playback singer for many famous Bollywood movies. Alka is incredibly talented and has sang in many different languages including Hindi, Punjabi, English and Tamil. She has also worked with lots of famous composers and more recently been a judge in several national singing competitions. Alka holds the title of being a seven-time winner of the Filmfare Award including 36 nominations! 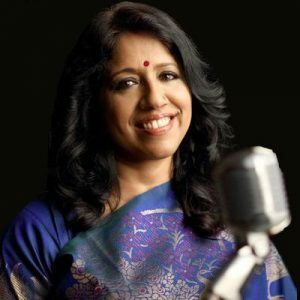 Winner of Padma Shri (India’s fourth highest civilian honours), classically trained Kavita has recorded more than 18,000 songs in 16 languages in a career span of 30 years. Winner of SGPG’s national reality show based on Gurmat Sangeet, two time winner of best vocalist of Guru Nanak Dev University, currently working as a music teacher at Guru Ramdas Music Academy, Amritsar. 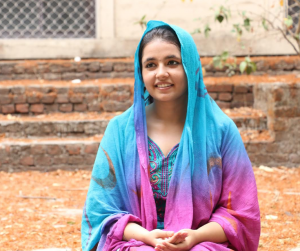 Hargun Kaur is a young Indian singer who was born and raised in the holy city of Amritsar, Punjab. Her passion for singing became apparent at the tender age of three! Hargun Kaur has a unique voice and takes her inspiration from a wide range of musical genres and styles. Over the years, she has become a talented lyricist and experimented with many traditional and contemporary singing styles including bhajans, gurbani keertan and ghazals. Hargun has exceptional talent, in fact she reached the final stages in national competitions such as the ‘Voice of India’ as well as ‘India’s got talent’. Hargun Kaur is ‘very excited and humbled’ to work on the official Motherhood-The Journey of Mata Sahib Kaur soundtrack. Debasmita Bhattacharya is a talented musician born in Kolkata, West Bengal. 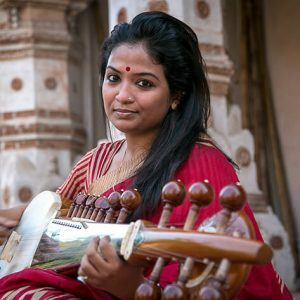 She is one of very few female Sarod players in the world since this complex stringed instrument is traditionally played by men. 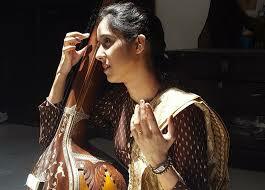 Debasmita’s initial inspiration comes from her father; Debashish Bhattacharya, who himself is a talented sarod player. Debasmita’s unique talent has won her worldwide praise and many awards along the way including first prize in the “Sangeet Praveen competition.” Debasmita has been very humbled to work on the 3D animation Motherhood-The Journey of Mata Sahib Kaur. She has been captivated by the greatness that is Mata Sahib Kaur Ji and recently visited Sri Harmandir Sahib; a dream she has always had. Harsh Narayan is a famous sarangi player who at the age of 33 is a true master of his art. The saringi is a rather complex and technical stringed instrument which can take a lifetime to perfect. Harsh was born and raised in Mumbai and blessed to be born into a family where classical music was already a way of life. His father, Brij Narayan, is a renowned Sarod player and his grandfather, Pandit Ram Narayan, is the legendary saringi player! Under the guidance of his grandfather, Harsh began learning the sarangi at the young age of six. Under such guidance and influence Harsh excelled. 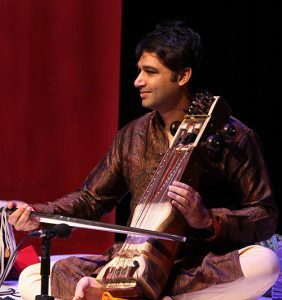 Over the years, Harsh has performed and recorded with many famous Indian classical artists worldwide. He is very excited to be working on Motherhood-The Journey of Mata Sahib Kaur. Satyendra Singh Solanki, was born into an already musically gifted family. Born in 1990, he is the son of Shri Ajay Singh Solanki, a passionate tabla player. Satyendra Singh Solanki was fortunate to be trained by Pt. Omprakash Chourasiya in the classical string instrument: the Santoor. Satyendra has received many awards along his musical journey as well as blessings and praise from many great musicians and producers. Recently, Satyendra Singh Solanki has come back from a trip to Punjab, where he was involved in the musical composition for Motherhood-The Journey of Mata Sahib Kaur. He described his experience as ‘blessed’ and his visit to Sri Harminder Sahib as a ‘wonderful experience’. 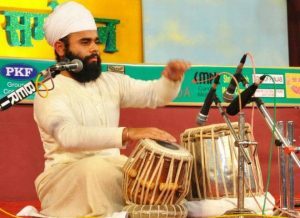 Gian Singh Namdhari, is an accomplished musician who has perfected the art of traditional Jori Pakhwaj and tabla. 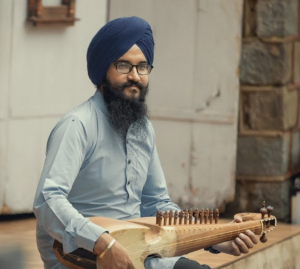 Gian Singh was born in 1990 in Sri Bhaini Sahib to a family where he was the first to learn such instruments. At the young age of ten Gian began to learn how to play the tabla and eventually progressed to learn the more classical Jori Pakhwaj. He has continued to develop and hone his skills under the influence of the critically acclaimed Sukhwinder Singh Pinki. Over the years, Gian Singh has won many prestigious awards and given many stunning performances all over India. Charanbir Singh, is a talented rababi player, who was born and raised in the city of Ludhiana. 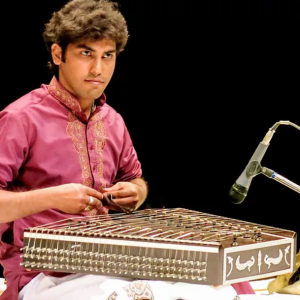 He started learning how to play the rabab at a young age under the guidance of Ustad Inderjit Singh. He has also started to perfect his skills with support from Pakistan’s famous Waqar Atal. Charanbir Singh has recorded the rabab for several Punjabi songs as well as some religious songs. More recently, he has dubbed the rabab in Sukhwinder Singh’s song for an upcoming Bollywood movie.